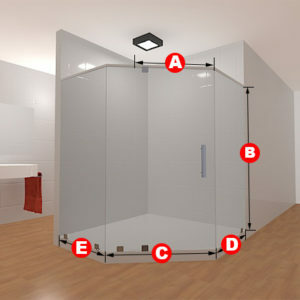 Four panels, straight and clean, looking perfect! 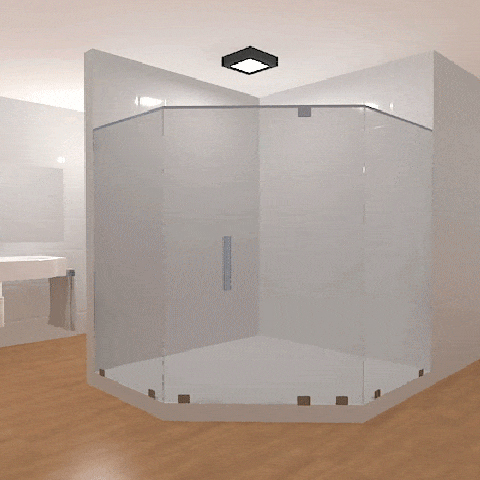 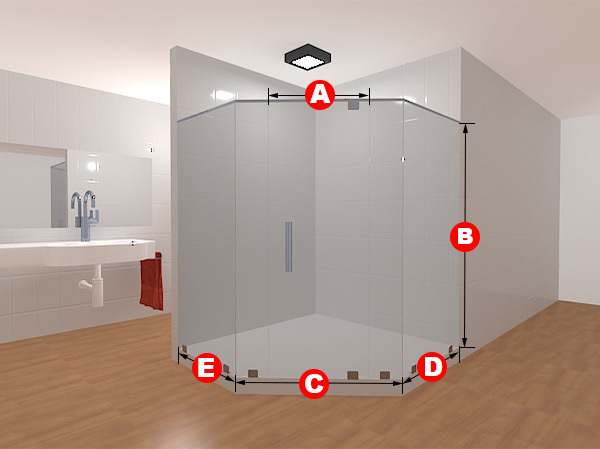 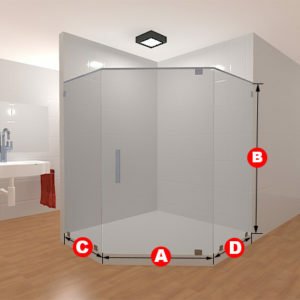 That describes the Neo Angle Layout 9 frameless glass shower door set perfectly! This shower door set will look great in any bathroom you choose to put it in, with the added bonus of being made exactly to your specifications, both in dimension and glass type. Classic clear glass and unique frosted glass are both available.